In the tip of North Holland, between the coast and the tulip fields, creative print expert Joris Langedijk makes quality productions. 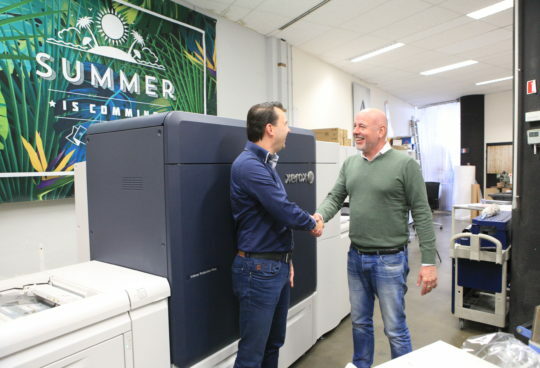 To continue doing this, he was the first in Europe to purchase a special Roland TrueVIS VG-640 printer from dealer Tripa at FESPA Digital in Amsterdam. For this production, the modern office is equipped with industrial black/white and colour printers on which the most common print jobs are done. For all sign and photo print jobs, the company recently bought the latest Roland DG TrueVIS printer/cutter. Nine years ago, Eelan bought its first Roland printer and made the step from copyshop to sign making. 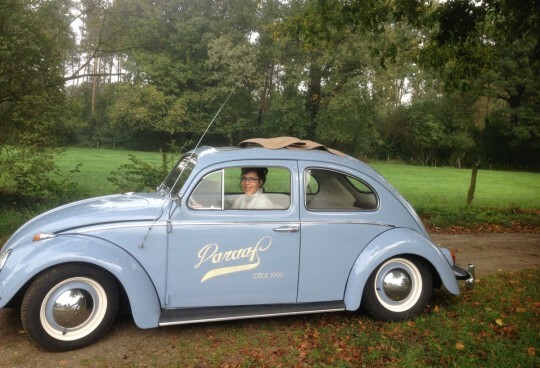 Because the demand is very high, Joris started looking for a new, faster machine at the end of last year. 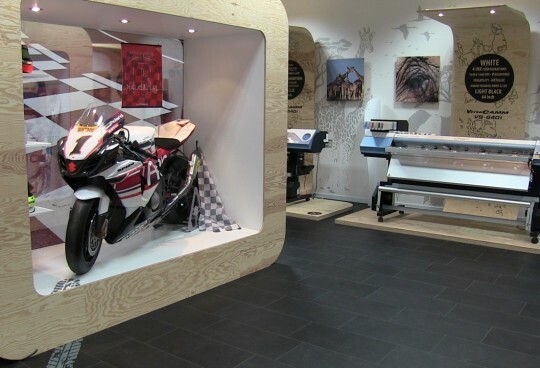 Challenged by René Van der Weijde, Sales Manager Benelux at Roland DG and an old acquaintance of Joris, he decided to take a look at FESPA Digital for the latest Roland creation, the TrueVIS VG, which was being shown there for the first time. The TrueVIS can be used with eight colours, has newly designed print heads and uses entirely new eco-solvent inks. “I fell in love with it instantly, the quality is really very good. We are no high-production company. For critical customers such as photographers we make a number of prints, which have to be top quality. This quality with deep black, fine nuances and great light colours came within our reach,” says Joris. “We did not intend to make a purchase at the trade fair. We just wanted to have a look. But we were convinced after the demo. And yes, making a decision at the trade fair was the quickest way to get our hands on this new machine. So I just did it. And I haven’t regretted it for a single moment. We immediately made photographs and spread them via social media. We celebrated the arrival of the new printer two weeks after the trade fair by eating ‘beschuit met muisjes’, which is Dutch tradition when a baby is born. 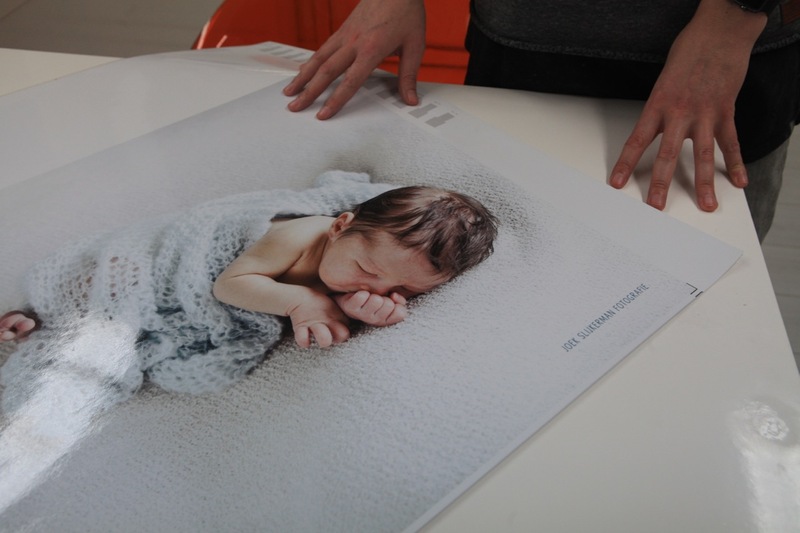 We started printing and I immediately called a number of customers to show the quality.” Joris shows a movingly beautiful photograph of a newborn baby. Originally, Eelan was the local copyshop. With Joris’ arrival they began the switch to creativity and design. Sign was added with the purchase of the first Roland printer nine years ago, but the start was rather slow. “We had a large format printer, but in the beginning it only ran for a half day during the week. Things have changed a lot, because now you often have to queue to use the printer. In other words, it was time for a new one”. This PRstory was made for Roland DG and published at their site.